VICIVISION optical measurement systems all have true telecentric optics integrated into their hardware, allowing for fast and accurate turned part measurement. But how does it work? Optical measurement works by collecting data through video camera technology. Performing automated data collection through a combination of advanced hardware and intuitive software. Telecentric optics generate a 2D undistorted image of the object through LED backlight illumination which is projected onto the part, this is situated directly behind the piece and opposite the telecentric lens. LED illumination works by projecting light onto the part and casting a silhouette into the video camera, from which intuitive software can then gather data from the outer profile of the part as well as features such as through holes. Built to withstand even the toughest shop floor environments, VICIVISION optical systems provide your work shop with maximum stability alongside greater control over your manufacturing and inspection processes. 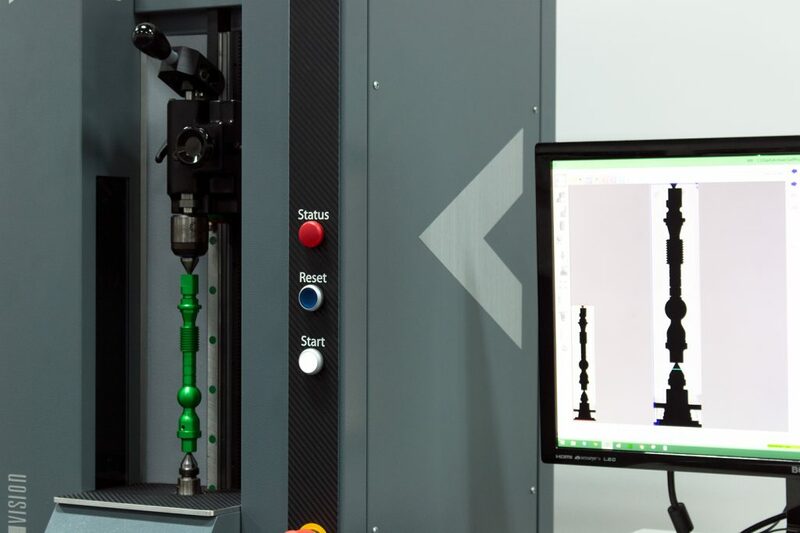 In a single practical and compact design, our non-contact machines generate highly accurate inspection rates at the touch of a button and within a matter of seconds, ensuring your production process is optimised.